The Texas Farm to School Round Up will be held at the 2016 TOFGA Conference. It combines an intensive Pre-conference Workshop along with several sessions focused on specific components of Farm to School during the conference. Register for both Farm to School Round Up and TOFGA conference, click here for the registration page and follow the form. Registration for the Farm to School Preconference is $45 (coffee, lunch, snacks and training materials packet are included). Travel stipends of $150 - $250 are available for farmers and ranchers who register for both the Preconference and Conference. Please email Susie at president@tofga.org if you are interested in the travel stipend. 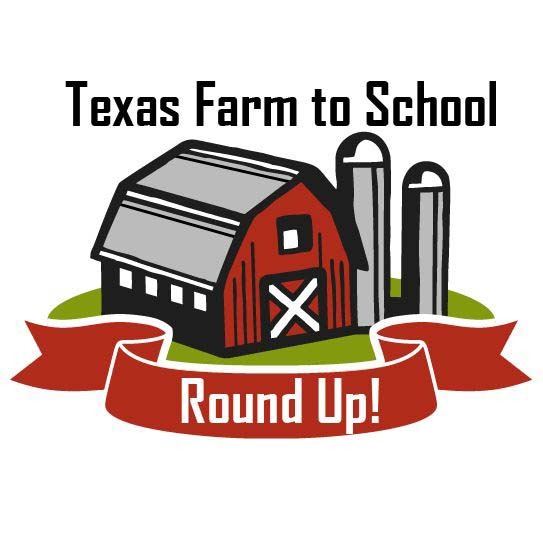 Register for only Farm to School Round Up, click here for the registration page. You will need to select the "Pre-conference workshops Only" option which is down toward the bottom of the registration types. The Farm to School Round Up will be an option in the list of pre-conference workshops, be sure to select this option as you move through the form. The Farm to School Round Up is one of the TOFGA Pre-conference Workshops. It will establish a common baseline of knowledge about school meals and Farm to School program. It will provide practical lessons learned and firsthand examples of farmers selling to school districts, districts procuring from local farms, and promotions and educational programming. The workshop will conclude with a panel presentation and “Q&A” with key stakeholders representing a range of Texas Farm to School interests. Attendees will learn about tools they need to jump start a Farm to School program in their areas.